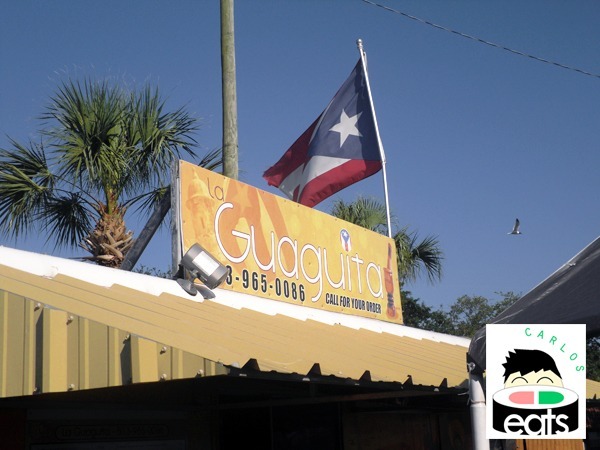 A friend and I went on a ethnic market hunt and just as I started complaining that there are basically no Puerto Rican food spots in Tampa, I turned around and saw a food truck called La Guaguita waving a Puerto Rican flag. My friend and I decided to investigate. Click the photo for a larger version of the menu. 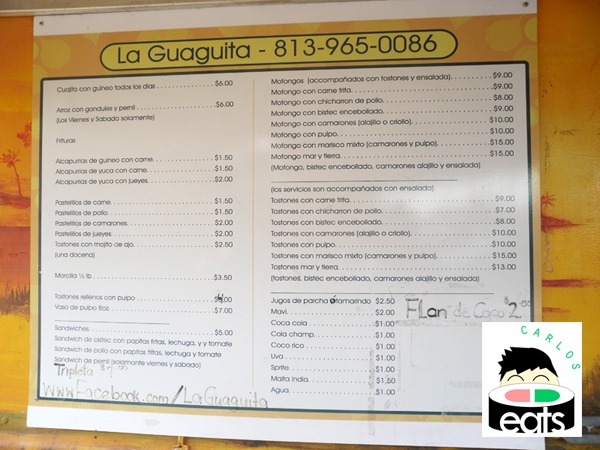 A quick look at the menu and I saw many favorites such as mofongo (flavored mashed plantains), alcapurrias (a fritter dish), pastelillos (empanadas), tostones rellenos con pulpo (stuffed fried plantains), arroz con gandules y pernil (rice with pigeon peas and roast pork), tostones (fried plantains), and also various sandwiches. All choices were at reasonable prices (~$8 for a full meal, $1 or $2 a la carte), this truck doesn’t over-charge for ethnic food. They also had various refreshments, including my personal favorite: Malta India. Malta has a sweet, refreshing taste to it and is essentially a beer that has not been fermented. 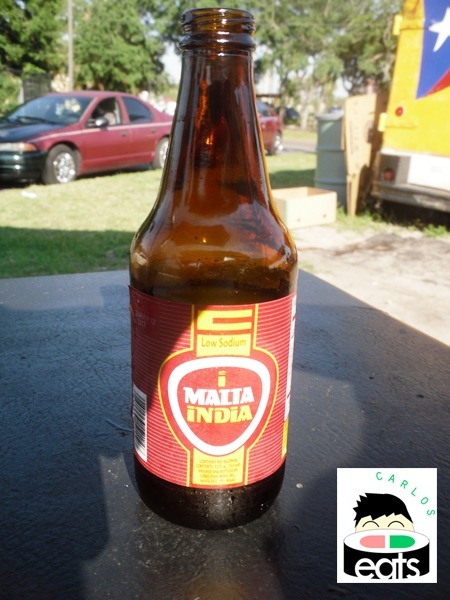 Malta India is made in Puerto Rico. 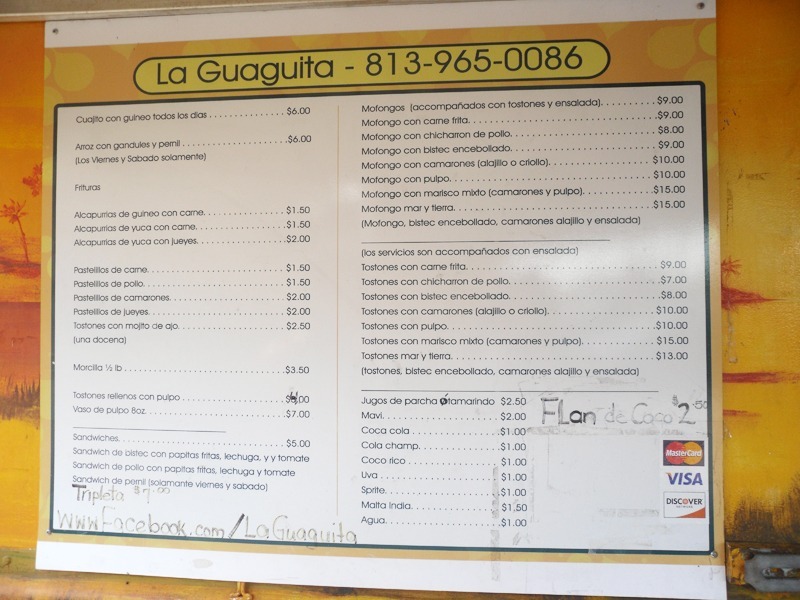 I decided to order their arroz con gandules y pernil or rice with pigeon peas and roast pork ($6.00), which was fantastic! It only took a few minutes to come out and I would say it was as good as a home-cooked meal (sadly my family doesn’t cook much Puerto Rican food these days because they became lazy in recent years). The rice was moist and the peas also had an authentic taste. The pernil (roast park) was also excellent and really hit the desired taste perfectly, the fat was rich with succulence. Normally I only have this dish during the holiday season, so it was nice to enjoy it for an afternoon lunch for a change. It also came with small salad that had plenty of flavoring from some salt and pepper. A great deal for $6! The employees were friendly with us and the crowd was welcoming, both helpful in explaining any menu concern we might have. Many people came and went which was a good sign about the food. They accept major credit cards such as Visa and Mastercard, so you don’t have to worry about keeping cash on you as well. I am really happy to have found a Puerto Rican food truck and hope to come back to their empanadas and mofongo in the future :). 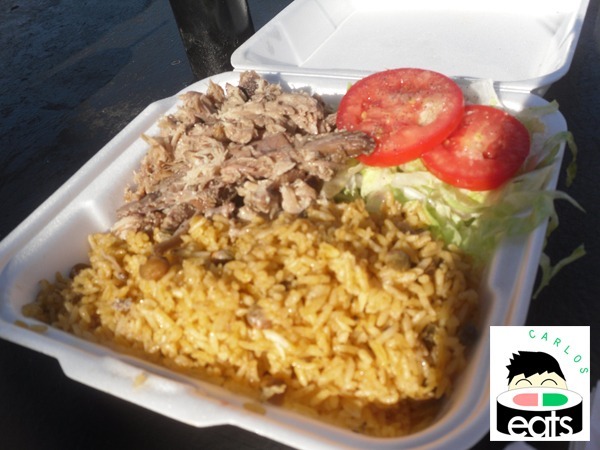 They also cater if you’re interested in having some Puerto Rican food at your event. Everything off this truck, especially your lunch, sounds delicious! I wish we had food trucks where I lived- I would never be able to stop eating! Thanks it was delicious! I wish we had more food trucks. Orlando (just about 40 minutes to an hour away) has already started a big food truck scene and I want to see more here in Tampa Bay. It’s very very difficult to find Puerto Rican food in Los Angeles,CA. It’s very very easy to find Mexican food in Los Angeles,CA. Does anyone know when there will be Puerto Rican fast food places,Puerto Rican restuarants,Puerto Rican food trucks and Puerto Rican grocery stores in Los Angeles,CA.? I don’t remember if I tried Puerto Rican food or if I didn’t tried Puerto Rican food? yes I agree the food is awesome! good mofongo! I’m Puerto Rican and everything in your post looks fabulous! 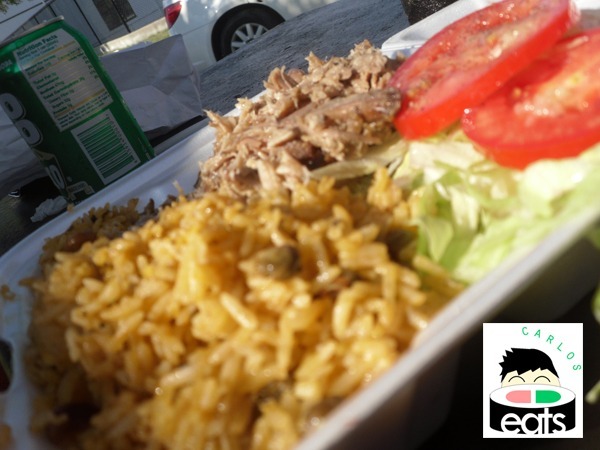 Arroz con gandules and lechón asado have always been two of my favorite dishes. 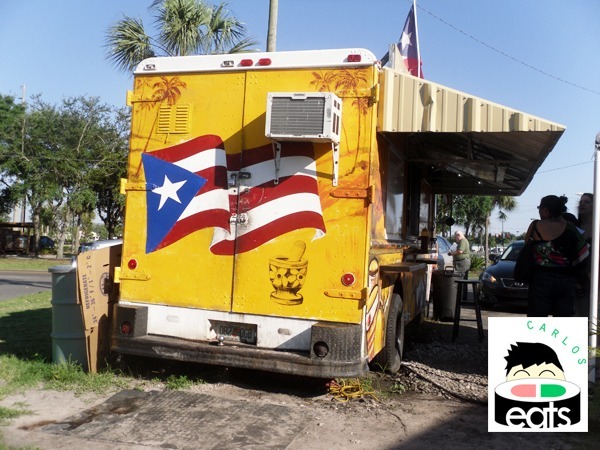 I don’t think there are any Puerto Rican food trucks in Orlando, although there are some fab bodegas in Buena Ventura Lakes. This is Cindy the owner of La Guaguita.. Thank you so much for the great review. We wanted to share with you that we were contacted by the Food Network and they will be coming to Tampa on Oct 2nd to film us for they 3rd season of Eat Street. We would love to have you as one of our guest on that day as a local writer or food critic. They have asked us for names and telephone numbers so that they can contact you directly. Please call me at 813 527 7058 to confirm.